Avoid colds & discomfort in wet weather. Wear G.P. brand goloshes : "every pair made to wear". Originally belonged to Mr E. George South. 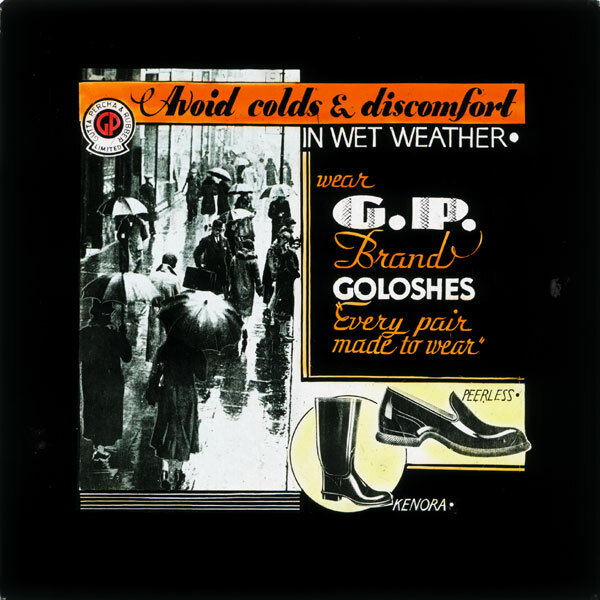 Auckland Slide Company, “Avoid colds & discomfort in wet weather.,” ourheritage.ac.nz | OUR Heritage, accessed April 26, 2019, http://ourheritage.ac.nz/items/show/5854.